The Iwa Pele project was set up in 2012 to address issues of social exclusion and marginalisation affecting poor, mainly Afro-descendant communities in Lima, Peru. Voluntary staff work with children in the Municipality of La Victoria, a district affected by high rates of poverty, violence and social exclusion. Through a range of artistic, cultural and educational activities including dance, percussion and drawing, the Iwa Pele project provides a safe and friendly space for vulnerable children from the community to develop personal and social skills to better confront the everyday challenges that they face. Since 2013 the Iwa Pele project has been offering the children weekly Capoeira classes with Profesor Fernando Hurtado from Capoeira Nago-Peru. The classes enable the children to develop important skills such as confidence, self-esteem and discipline providing them with a non-violent approach to challenging the community violence around them. Through learning about the Afro-descendant history and roots of Capoeira they are also able to develop greater understanding and connection with their own African roots and identity, giving them a much needed sense of pride in their community’s culture and history. Casa Da Capoeira is continually looking to form lasting and effective partnerships with non-profit organizations and local communities. Contributing to the social wellbeing and uplifting of a community is a core component of Casa da Capoeira’s values. They currently hold monthly rodas, open to all students from around Johannesburg, and carry an ‘entry fee’ of a minimum of 1kg of non-perishable food. Recently, CDC has formed a working relationship with MaAfrika Tikkun which will ensure that the food collected on a monthly basis will go to those who need it most. The non-perishable food that is donated by Casa Da Capoeira has been gratefully received by orphaned and vulnerable children at the MaAfrika Tikkun Diepsloot ‘Wings of Life’, Orange Farm ‘Arekopaneng’ and Alexandra ‘Phuthaditjaba’ Community Centres. The cooks that prepare fresh, healthy food at these Community Centres on a daily basis are grateful for the donations. This group targets the “City of Lost Children”, a community close to Recife, Brazil. It is an underserved community with high levels of poverty and drug trafficking. There is no accessible public health care, libraries, playgrounds, or community centers. Former street youth who grew up in the community have developed a peer teaching project that focuses on empowerment through art. On the streets, they teach four classes a week, including Capoeira, hip-hop, visual art, music, circus and skateboarding, reaching over 400 children a month. Thus, their classes create a positive environment for children, building peace amongst rivals, and ensuring that children get healthy snacks. To create a safe space at all times of day, they hope to install outdoor public lighting and build a cover for the only recreational space: a concrete soccer rectangle. Their future goal is to build an art school/community center for children and youth. It should have a community kitchen to prepare hot lunches for kids and families, a food bank, a library, free internet access with computers, dance/movement/art studio, small cafe and retail store to teach employment skills and generate income and educational courses. 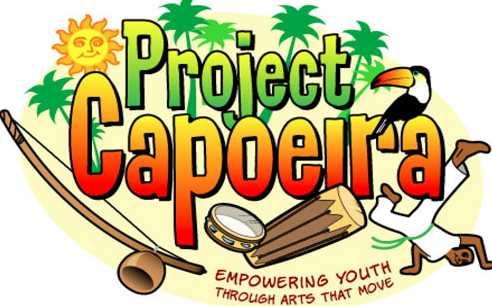 Project Capoeira fosters community and intercultural understanding and builds confidence and positive citizenship among disadvantaged groups, particularly Latino youth. 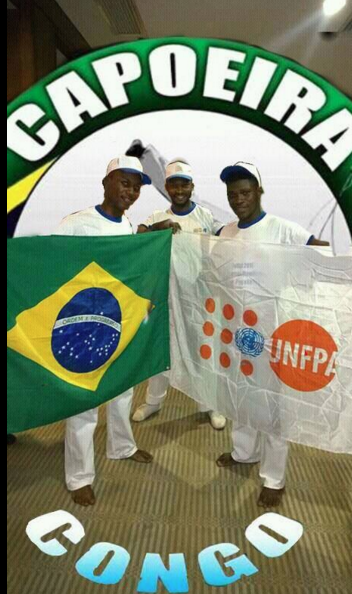 Project Capoeira provides support through capoeira classes to youth coming from disadvantaged contexts. This project promotes both strong physical and emotional development while allowing children to learn respect, courtesy and social skills. Capoeira for Peace was founded to bring capoeira, free of charge, to young Congolese, especially children living on the streets. The initiative involves introducing children formerly associated with armed forces and groups to the practice of capoeira to facilitate their reintegration into their communities.